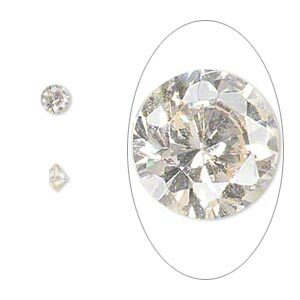 Gem, cubic zirconia, champagne, 5mm faceted round, Mohs hardness 8-1/2. Sold per pkg of 5. Item Number: H20-1064ZC Have a question about this item? Undrilled stones. Due to the rough cubic zirconia material, certain colors may vary. 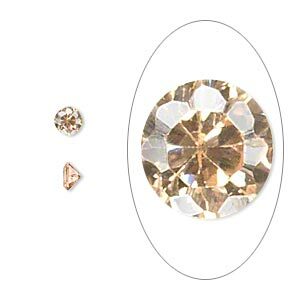 Gem, cubic zirconia, champagne, 4mm faceted round, Mohs hardness 8-1/2. Sold per pkg of 5. Gem, cubic zirconia, champagne, 6mm faceted round, Mohs hardness 8-1/2. Sold per pkg of 2. 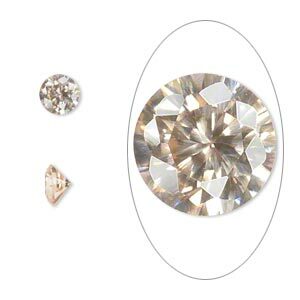 Gem, cubic zirconia, champagne, 8mm faceted round, Mohs hardness 8-1/2. Sold individually. 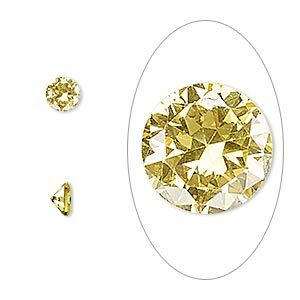 Gem, cubic zirconia, champagne, 3mm faceted round, Mohs hardness 8-1/2. Sold per pkg of 10. 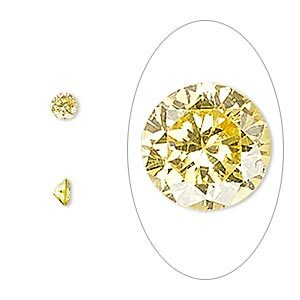 Gem, cubic zirconia, topaz gold, 5mm faceted round, Mohs hardness 8-1/2. Sold per pkg of 2. Gem, cubic zirconia, topaz gold, 4mm faceted round, Mohs hardness 8-1/2. Sold per pkg of 5. 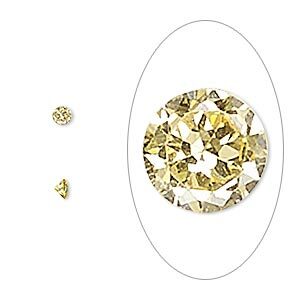 Gem, cubic zirconia, topaz gold, 3mm faceted round, Mohs hardness 8-1/2. Sold per pkg of 5. 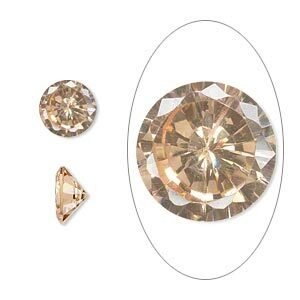 Gem, cubic zirconia, topaz gold, 3.5mm faceted round, Mohs hardness 8-1/2. Sold per pkg of 5. 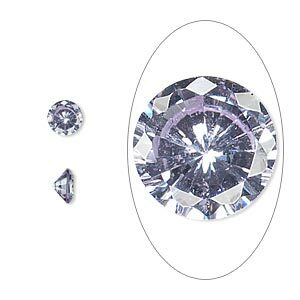 Gem, cubic zirconia, lavender, 5mm faceted round, Mohs hardness 8-1/2. Sold per pkg of 5. 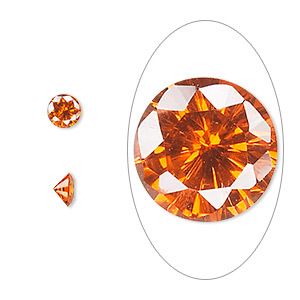 Gem, cubic zirconia, orange, 5mm faceted round, Mohs hardness 8-1/2. Sold per pkg of 5.